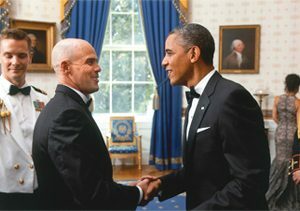 Convic’s Managing Director, Simon Oxenham, visited the White House in 2013 and met with US President Barack Obama and Members of Congress. The USA is facing similar issues with engaging young people in healthy activity as are all western nations. Australia leads the world in our approach to combatting these problems through Skatepark and youth space provision. “To be given the opportunity to meet with President Obama and Members of Congress and to speak of the critical importance that action sports and inclusive recreation space play in the healthy development of young people was an incredible experience and one that I will never forget. “ recounts Simon.